The charm of this city, settled on the northern bank of the Bega River, lies in its distinct architectural character and vibrant cultural life. Frequently referred to as "Little Vienna," Timisoara is home to year-round musical and theatrical performances, art galleries, museums and a buzzing nightlife. 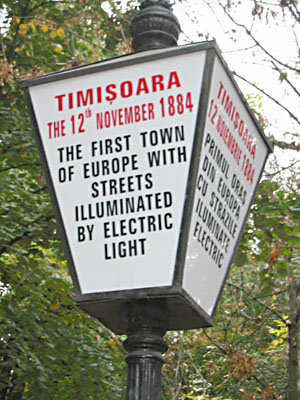 A progressive, cosmopolitan place, Timisoara was the first city in Europe and second in the world after New York, to use electricity to illuminate its public streets. 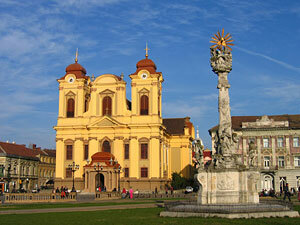 Thanks to its mild climate, Timisoara has lots of public squares and lush green retreats. The city is easy to explore on foot. If you get tired, a tram will be along in a moment; the system is fast, frequent and efficient. 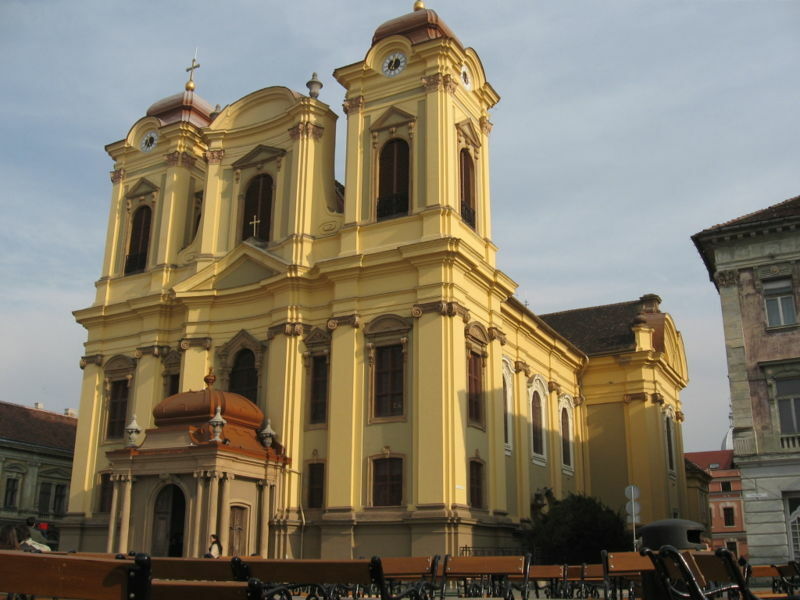 Timisoara abounds with churches of several denominations, a Jewish quarter, an elegant baroque square and a pedestrian-only downtown area. Some of the monuments in the heart of the city afford panoramic views, while the many parks in this "city of flowers" provide an idyllic spot to take a break from sightseeing. In many respects, it is the abundance of Secessionist architecture that has provided Timisoara with its rather appropriate moniker, "Little Vienna." Secessionism developed in two distinct architectural phases here. 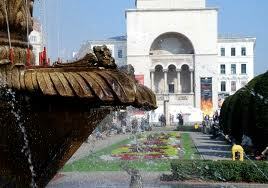 Sinuous lines and floral decorations characterized the first phase which lasted until 1908. 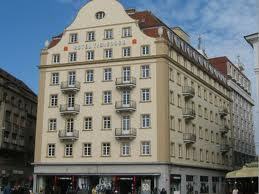 The second phase, which continued until the First World War, saw simpler, larger buildings with geometrical designs. 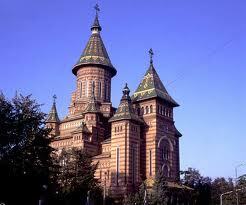 Secessionism in Romania was an important link between the Byzantine style and later modernist architecture. 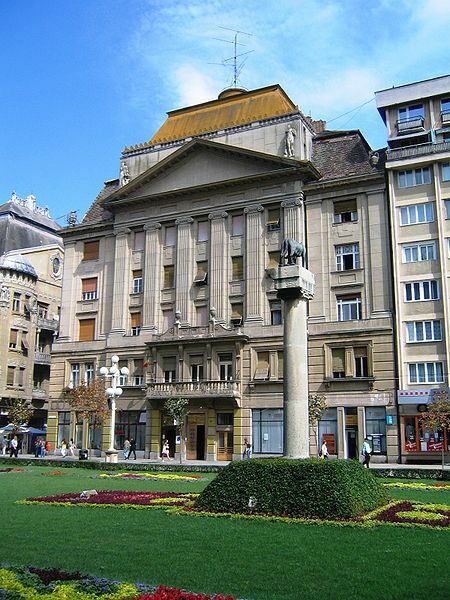 Some of the city's most interesting sites are its elegant baroque buildings, spread around town and particularly along the main square, Piaţa Victoriei, which stretches from Opera Square (Piaţa Operei) to Loga Boulevard. 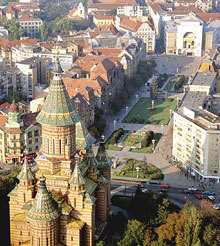 The focal point is the towering Romanian Orthodox Metropolitan Cathedral (Catedrala Ortodoxă Mitropolitană) at the south side of the square. Built between 1936 and 1946, its green and red roof tiles are arranged in a mosaic design. In front of the Cathedral is a memorial to those who lost their lives during the 1989 Revolution which overthrew Communist rule. 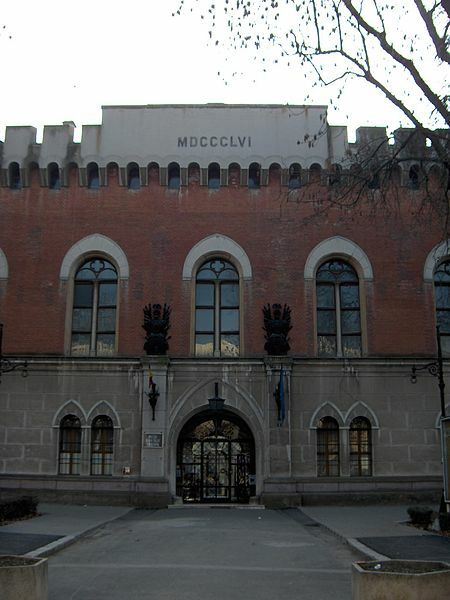 The Memorial Museum of the 1989 Revolution (Muzeul Revoluţiei) offers a full insight into the revolution in Timisoara. Across the town center is the picturesque Habsburg-era Piaţa Unirii, so-named for the imposing sight of the Romano-Catholic and Serbian Orthodox Cathedrals facing each other. Historic pastel-hued buildings line the square. During the 18th century, this was the city's commercial center and the venue for numerous military processions and religious ceremonies. Nicolas Lenau College (Liceul Nicolas Lenau), located on the north side of the square, was built in 1761 and was home to the earliest theatre in Timisoara. The baroque Serbian Orthodox Cathedral (Biserica Orthodoxă Sârbă), built in 1745-48, and the mint green and white Serbian Bishop's Residence (Vicariatul Ortodox Sârb) with its extravagant decorations are located on the west side of the square. The Cathedral can be visited daily between 7AM and 6PM. (Catedrala Episcopală Romano-Catolică) on the east side of the square was built between 1736 and 1754 to the design of Fisher von Erlach and represents a fine example of Viennese baroque style. The main altar painting was completed by Michael Angelo Unterberger, director of the Fine Arts Academy in Vienna. 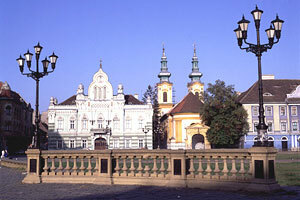 The impressive 18th century Baroque Palace (Palatul Vechii Prefecturi) dominates the square's south side. Formerly the governor's residence, it now houses the Museum of Fine Arts with works by German, Flemish and Italian artists. See museum details below. 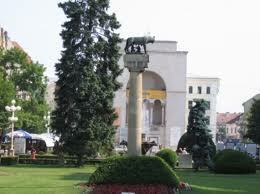 At the northwest corner of Piaţa Unirii stands the spectacular Scont Bank (Banca de Scont). This typical Hungarian-style art nouveau structure, built in the early 20th century, features an organic shape comprising curved walls studded with turquoise tiles forming patterns drawn from folklore, and extravagant iron gutters and window grills. From Piaţa Unirii, walk east along Str. Palanca to the oldest building in Timisoara, now housing the Banat Etnographic Museum within the cityies remaining 18th century bastion. Freedom Square (Piaţa Libertăţii) to Victory Square (Piaţa Victoriei) Another remarkable open space in the city is Piaţa Libertăţii which offers a great display of Secessionist architecture. The Banat region was under Turkish rule from 1552 until 1716 when the Austrian-Habsburg Prince Eugene de Savoy took over Timisoara. At this time, a seven-star- shaped bastion and gate-towers were constructed and the marshes surrounding the town were drained by the new Habsburg governor, General Mercy. Continue along Str. Lucian Blaga to the 14th century Huniade Castle (Castelul Huniade). Built during the rule of Carol Robert, Prince de Anjou, it was completed by Iancu of Hundeoara and redesigned by the Habsburgs in the 18th century. South and east of the Bega Canal are the Josefin, Elisabetin and Fabric residential districts, true gems of Jugendstil, or art nouveau, architecture, built mainly in the late 19th century. The small residential square of Piaţa Plevnei, south of the Bega Canal, is bordered by excellent examples of the first phase of Secessionist architecture, such as Gemeinhardt's Peacock House (Casa cu Păuni) built in 1905. Facades are covered with an abundance of typical motifs: peacocks, swans, owls and squirrels together with sinuous vines and foliage. The theme continues on the buildings lining Splaiul Tudor Vladimirescu, following the south bank of the Bega, and to a lesser extent, around nearby Piaţa Maria and Bulevardul 16 Decembrie 1989. Secessionist, or art nouveau, architecture also can be found in the cities of Arad (especially on Strada Cloşca and Piaţa Avram Iancu), Oradea (Vulturul Negru and Astoria hotels), Cluj (Odon Lechner National Theatre), Satu Mare and Târgu Mureş (Palace of Culture). Even though Jewish presence in the Banat region dates back to the 2nd century AD, the first written mention of the Jewish community in Timisoara occurred in 1716, when the Turkish army commander surrendered the town to the Austrian Prince Eugeniu of Savoia. In the old Sephardic cemetery, graves dating to the Turkish occupation may be seen, the oldest belonging to Azriel Assael, a Rabbi and surgeon who died in 1636. A century later, Rabbi Meir Amigo and four followers from Istanbul were allowed to settle in the city. Following the implementation of citizen rights acts in the Austro-Hungarian Empire, Timisoara's Jewish community flourished, reaching a population of almost 7,000. 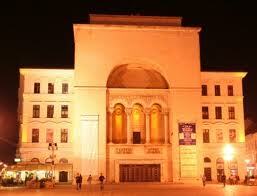 Six synagogues were built in the city after 1867, the year of the Austro-Hungarian reconciliation. Today, three remain with one still active. One of the most beautiful buildings in Timisoara, the synagogue in the Fabric district was built in 1899 by Hungarian architect Lipot Baumhorn in a traditional Moorish style. 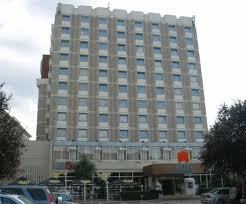 It is currently closed for structural repairs. This Neolog-rite synagogue, built in Oriental style in 1865, resembles the great synagogue in Oran, Algeria. One of the largest synagogues in Europe, it is currently closed for structural repairs. 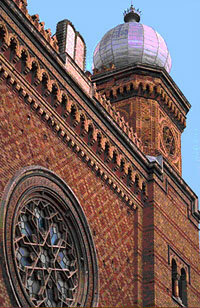 Built between 1906 and 1910, this Orthodox Synagogue is the only one in service at this moment.